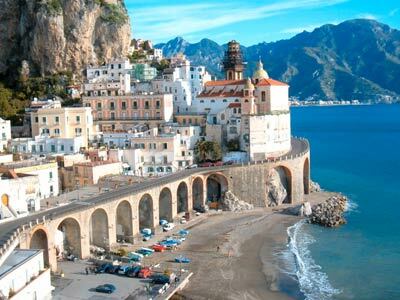 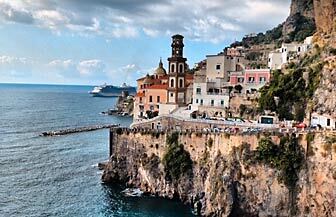 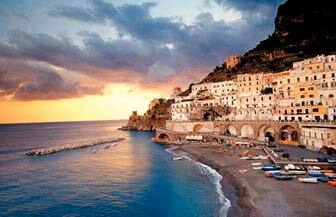 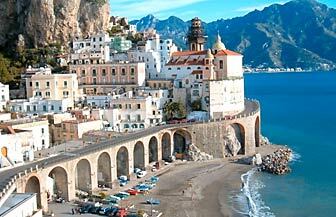 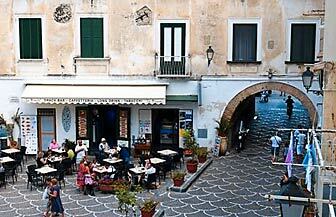 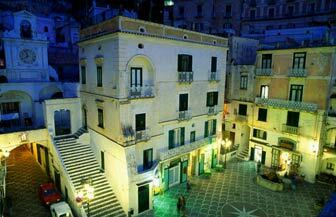 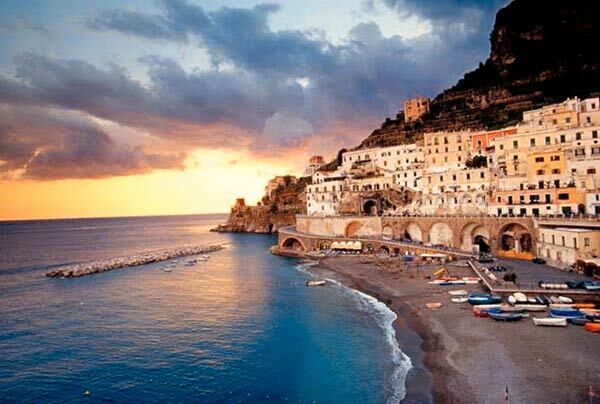 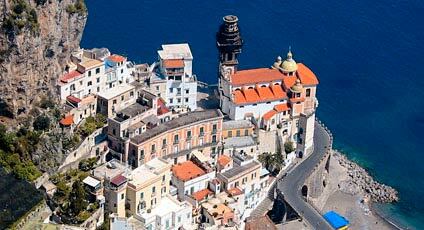 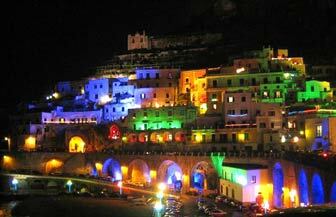 Atrani is one of the prettiest fishing villages on the Amalfi Coast, and the smallest town in Italy. 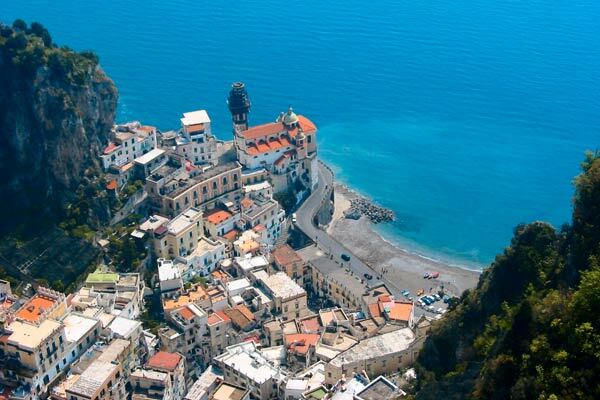 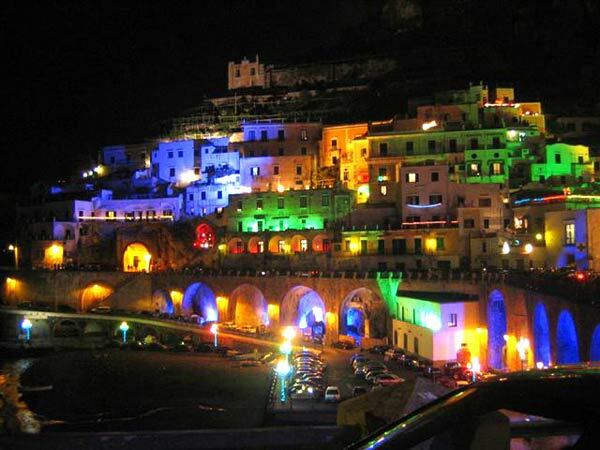 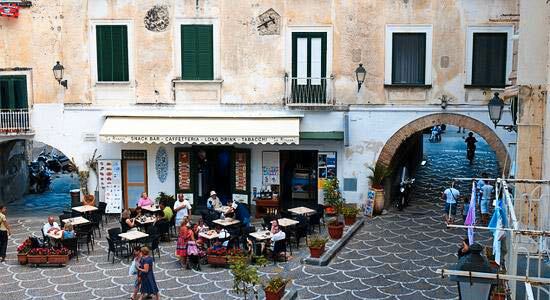 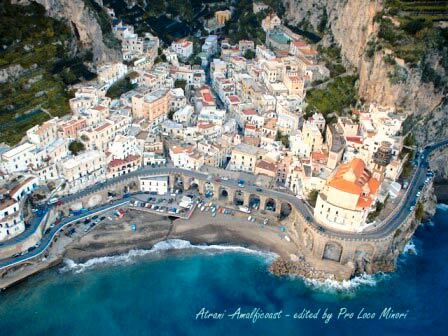 Once part of the rich and powerful maritime republic of Amalfi, Atrani is now a quiet place, centered around the Piazza Umberto, famous for its elegant pavement cafés. 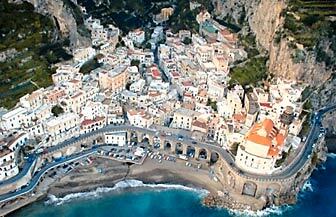 Atrani's Barocco-style church boasts a set of bronze doors from Constantinople, manufactured in 1086. 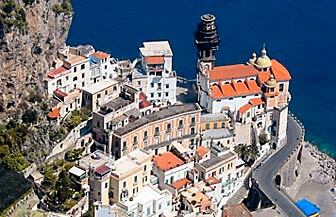 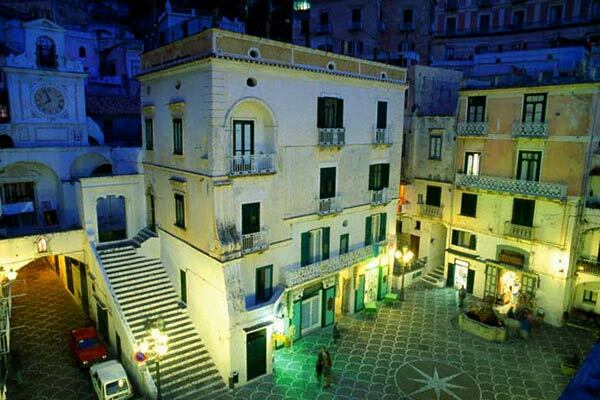 The small square in front of the church offers a spectacular view of the Bay of Salerno.